For the past 50 years, the Milaeger family has dedicated its efforts to enriching your lifestyle with beautiful collections for yourself and for your home and garden. Click here to Meet the Milaegers. In addition, Milaeger's offers nearly every variety of hardy trees, shrubs, evergreens, roses and pond plants suitable for climate conditions of zone 5 and Wisconsin. 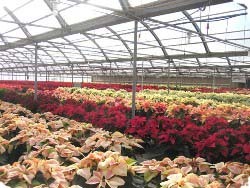 The brightest and best plant material is selected from the finest nurseries in the US for your gardening pleasure. 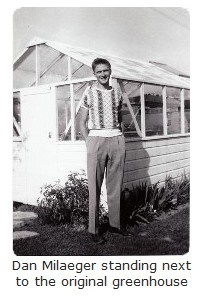 Garden goods were first sold in the boiler room of the greenhouse. This small room also included a cot for the Milaeger children and a stove for Joan, who often cooked an evening meal onsite. Since there were no employees at this time, the family could not leave until closing time. The range of garden-based products has grown over the years to include everything from garden essentials such as fertilizer, soils, and tools to items for accessorizing outdoor living, including wind chimes, fountains, pottery, garden memorials, patio furniture, and a wide array of yard art. Milaeger's dedication to beautifying lifestyle led to the inclusion of home décor items in their product mix. Accessory furniture, lamps, framed printed, small rugs, nautical items, tabletop and culinary products, fragrances, candles and potpourri are just a sampling of the many gift and home decorating categories that are currently offered. In addition, Milaeger's specializes in casual apparel and footwear for women, offering unique items and favorites such as Not Your Daughter's Jeans (NYDJ), Jag Jeans, French Dressing, Tribal, Born Shoes, Dansko, Earth, Sofft and more. 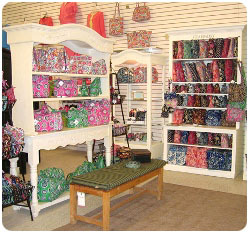 Accessories include Vera Bradley, Brighton, Trollbeads and many more wonderful bling things that make women happy. Personal care features The Thymes, Jack Black and Crabtree and Evelyn. In the 1950s, before the Milaeger business was started, Dan and Joan Milaeger supplemented their income by making winter grave decorations such as evergreen sprays (or blankets) and wreaths which they placed on graves for their customers who wanted a decoration on the graves of their family members at Christmas. Joan also made corsages that she peddled to drug stores, dime stores and corner bars. This interest in Christmas led to an infatuation with collectible ornaments, artificial Christmas trees (which Milaeger's called Almost Real Trees), and wonderful holiday figures, including Santas, snowmen, angels, and activities. Today, Milaeger's is recognized as one of the nation's top retailers of glass ornaments from prestigious designers such as Patricia Breen, Egyptian Museum, Old World Christmas, Ne'Qwa, de Carlini Italian Glass, Ornaments to Remember, Jingle Nog, Christopher Radko, Patience Brewster and more. Milaeger's first embraced the idea of artificial trees in the 1960s with aluminum trees complete with colorwheels and later the original poly molded trees. Because many Milaeger's customers are avid ornament collectors, special trees were designed by the family to accommodate large ornament collections and to exhibit the ornaments in the best way possible on a lifelike tree. 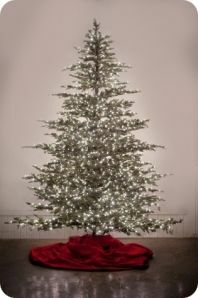 Currently, Milaeger's offers American made trees, custom built at Milaeger's to customer's size specifications. Milaeger's also imports its own exclusively designed prelit Christmas trees from China. In addition, the family is continually sourcing novelty trees, such as wire branch trees, as additional possibilities for ornament display in the home. Since the corsage era of the '50s, the floral industry has always been of great importance to the Milaeger family. Almost real florals have seen a great evolution from plastic flowers to exquisite, botanically correct replications of nature, and Milaeger's has always embraced the finest materials as new innovations emerge. 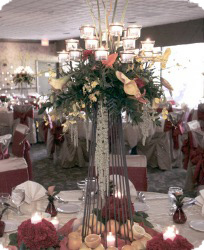 Milaeger's Design Center offers custom floral work - artificial or real - for residential and commercial application from one arrangement to decorations for a grandiose event or elaborate wedding. Specialties include Holiday decorating, both inside and outside. The company says, "Something wonderful is always happening at Milaeger's" and, in addition to its many special events through the year, merchandise at Milaeger's continues to evolve as taste change and trends emerge. 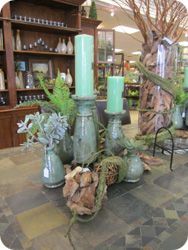 You can be sure that Milaeger's will be here with the right items to enhance your home and garden lifestyle. Milaeger's wants to thank their loyal customers who, through their support, make it possible for Milaeger's to offer the Best of Everything!